Selling your home usually doesn’t happen as quickly as you’d want it to. Depending on the route you go down, there will be viewings, appraisals, home inspections and several trips to the realtor’s office to sort out legalities. A different approach would be to look for individual buyers who can buy your property without using a real estate agent. Companies and individuals often look for residential homes to buy and use as rentals or fix and resell. If you’re interested in knowing how to find investors to buy your home in Omaha, NE, this guide can help you through the process. Are There Investors Who Can Buy My Home In Omaha? Finding an investor to buy your home in Omaha, NE might not be easy. As a general rule, investors are usually interested in houses in an ‘as-in’ condition for several reasons. First, they always scout for properties in desirable locations and are willing to overlook a few dents on the house. Secondly, they know the market and have a pretty good idea what sells and what doesn’t. So it is easier for them to buy a fixer-upper and remodel it to the best specs that would warrant buyer interest rather than end up with a fully furnished, high end house outfitted with design patterns and configurations buyers might not find attractive. If you are wondering ‘How to find investors to buy my home in Omaha, NE?’ then it’s worth knowing that they usually look for properties through their own research. 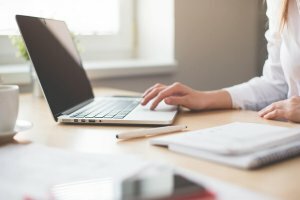 There are ways to increase your chances, like working with a local real estate agent who might have connections in the field. Another way is to go to a direct home buyer like Element Homebuyers and sell your house fast. When you are approaching investors directly, you should do some due diligence. Not all home buying companies in Omaha are the same. Some companies have been buying and selling houses in Omaha for years, while others may be a one man show who can’t actually close on your home. To learn more about how to find the best companies that buy houses in Omaha, you can check out our guide here. Start by searching for real estate investors in your area through local real estate investing clubs or in the classified ads. Organizations such as Bigger Pockets are easily accessible online and make it easy to find investors in Omaha, NE. Companies and individuals are more likely to advertise with signage, newspapers and local television ads, so keep an eye on those as well. You can also type in “we buy houses in Omaha” into Google and you’ll be able to find investors who might be able to buy your house. When you work directly with an investor, there is no need to deal with real estate agents. The most important part is to do some research and price your home for the current market conditions. A lot of investors prefer to skip dealing with real estate agents themselves and rather go directly to the seller to avoid the hassle of dealing with a realtor. When you start contacting property investment companies and direct buyers in Omaha, NE and inquire about their company and how long they have been in business. Ask them about how many homes they have purchased and if they’re a local home buying company in Omaha. Some larger companies will put up websites in local cities like Omaha when they’re located out of state. It should be easy to spot since their contact us page should have their office location. Before you sign any contracts with an investor, you should arrange to have a meeting or two with a real estate attorney to look over the contract the real estate investor sent you. This will guarantee that the sale is carried out in both your and the investor’s best interest. If you are selling your Omaha, NE home because of financial difficulties, impending bankruptcy or looming foreclosure, this is especially important. 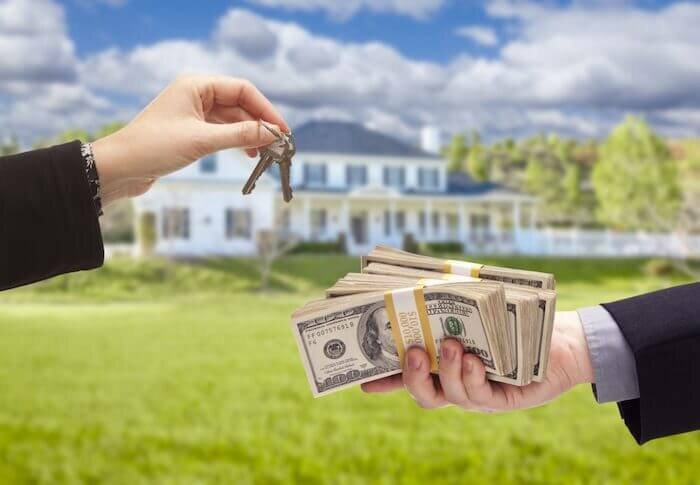 Additionally, if you are hoping to rent or buy back your home from an investor later on, it is vital that the terms of such an arrangement are included in the legal agreement you sign. Selling your Omaha, NE house to an investor allows you to sell faster, easier, and without all the associated costs of using a realtor. You are cutting out the middleman and selling straight to the buyer, which saves you time and money. You can agree on a price based on the condition, location and type of the property you are selling. Working out your asking price when you sell to an investor is easy. Because there are no additional costs related to appraisal, home inspection, marketing or repairs – you don’t have to factor them into your asking price. The only costs you will have are what you already owe on your house, such as your mortgage and taxes. On top of these advantages, many investors are flexible in the arrangements that they offer. For example, they may agree to take over your mortgage, which is great for buyers who need to sell quickly if their situation warrants it. Because investors don’t need to wait for financing the way regular buyers do, an investor is able to move forward with the sale immediately after agreeing on a price with the seller. This way you will not be slowed down with closing the deal. Investors who buy in cash are ready to close immediately, which is a huge benefit if you’re looking to sell your house in Omaha, NE as fast as possible. There will be no needs for renovations or remodeling either as investors typically look for houses in an ‘as-in’ condition. Even if your kitchen cabinets are outdated, the paint has peeled off or there are structural flaws – they may still be interested in the property. Naturally, your asking price will have to reflect the defects of your property, but sellers are often able to get close to their asking price when working with investors in Omaha, NE. Working with an investor can give you the peace of mind you need to know your house in Omaha, NE will sell quickly at the best possible price. Investors like Element Homebuyers are eager to work with you to find a mutually beneficial solution. Reach out to us, let us know your terms, and see how working with a real estate investor in Omaha, NE can benefit you and your family.